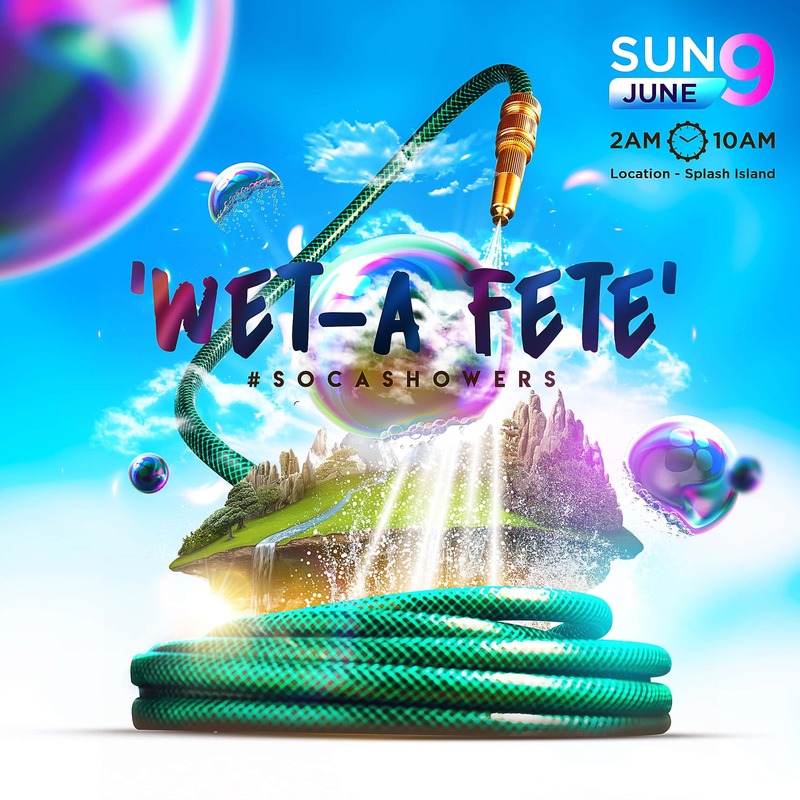 WeT-A Fete is a new Day Break water party to hit the shores of Barbados. The venue which has been dubbed ‘Splash Island’, is located in the heart of Bridgetown (BTI carpark). Patrons can enjoy a vibrant party atmosphere along with the hottest DJs, a live band and performances from some of the biggest Soca stars in the world. Splash Island will consists of a variety of Zones which patrons are free to engage- The Party Zone, The Dry zone, The Fun Zone (includes Water Slides and photo booths ) and The Sweetie Zone. For those who wish to have a more premium experience can purchase tickets for the ‘Elevated Dry Zone’ which includes free cocktails, bottle service and a private breakfast area. It also has a great view of the stage and option of entering the general party Area. In the general party area patrons will be teased with water, foam and fog throughout the event however the real showers will start to rain as the sun comes up. This is one event you don’t want to miss! !